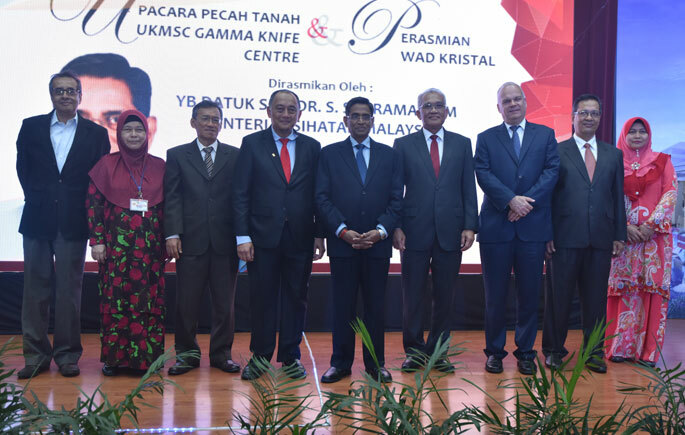 UKM is First Government Agency with Gamma Knife Centre. CHERAS, 23 February 2017 – Hospital Chancellor Tuanku Muhriz, Universiti Kebangsaan Malaysia (UKM) is the first Government Agency to house a Gamma Knife Centre. 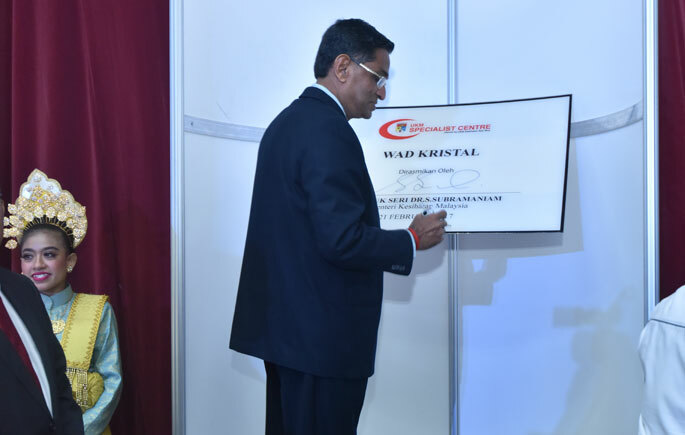 The treatment centre, built on the site of the built-up area of 4,000 square feet is valued at about RM25 million and is scheduled to be opened at the end of the year. Minister of Health, Datuk S. Subramaniam said the radiosurgery treatment centre will benefit various types of patients, especially those who have abnormal lesions, cancerous and non-cancerous tumour. Gamma Knife is a non-evasive neurosurgical procedure which uses powerful doses of radiation to target and treat tumours and abnormalities, shrinking them over time or stopping their growth. “With the centre, patients who have a tumour or brain cancer no longer have to undergo normal surgery, but they just need to do a treatment using Gamma Knife radiation,” said Datuk S. Subramaniam. “This high-tech treatment focuses on specific brain tissue involved without affecting other areas,” he explained. Datuk S Subramaniam said the treatment methods is not only easy, but it can reduce trauma to the brain and the cost of treatment for the long term is also affordable. At the ceremony, he also launched the Crystal Ward at UKM Specialist Centre. Also present at the ceremony were Swedish Ambassador to Malaysia, Dag Juhlin Dannfelt and Deputy Vice-Chancellor of Academic and International Affairs, Prof Dato’ Ir Dr Riza Atiq Abdullah OK Rahmat.